At year's end, work-at-home moms (and everyone else) think about setting New Year's resolutions. Though a new year is an ideal time for WAHMs to review professional and personal goals, we can do it all year round. To achieve success with New Year resolutions, we must keep these goals in mind all year. While everyone must personalize their own set of resolutions, here are a few goals those working from home may want to consider. January is the time to review organization systems and add new ones (but, of course, you can do it anytime). You may realize you need to track tax paperwork better, or a post-holiday clean up may reveal junk that piles up in one place. I'm always looking to improve time management. Find your weak spot, and then figure a better way. 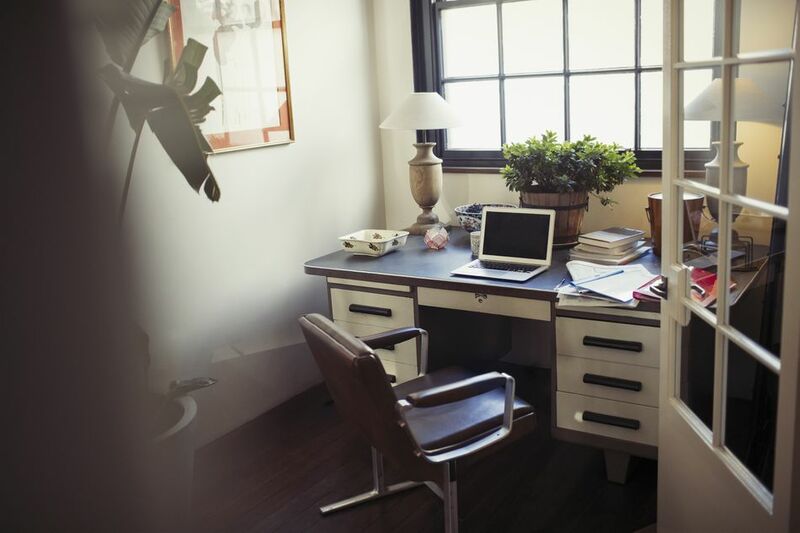 Work-at-home ground rules are essential to a smooth balance between work and home life. But if they are not enforced, they are meaningless. You have the double duty of enforcing the rules and following them yourself. Note your weakness in each area, so you know where to concentrate your efforts. If the rules aren't working, make new ones. Whatever your goals—following the ground rules, growing your business, losing weight, spending more time with family—you won't achieve them if you don't make a concerted effort. Inertia often keeps us on the same path, unless we set goals to move beyond. And in a bad economy or with changing family dynamics (like the birth of a child), sometimes we need to work harder just to maintain what we have. So we must set goals. But goals must be broken down into bite-size pieces. Start with your overall goals and work backward until you identify what your daily goals must be to achieve them. Distractions are an issue for every work-at-home mom. And it's not always kids who are distracting. Often distractions come in the form of housework, friends, spouses, TV or the Internet. Identify your most common distraction and set a daily goal to deal with it. For more on dealing with distractions, see these tips on ​dealing with distractions. Things are always changing with kids. They gain new skills and express more complicated ideas every day. (They also grow out of one bad habit and into another!) Parents must recognize when kids are ready for more responsibilities and privileges without overloading them. Work-at-home moms with a lot on their plates may find it easier to do a task themselves rather than spending the time to teach a child. But resist that urge, and enjoy those teaching moments with your kids. The lack of an on-site workplace community for those working from home can mean losing touch with new professional developments. In an office, everyday conversations or company newsletters alert us to changes in our industry. At home, we may miss out on that, so work-at-home moms must take responsibility for their continuing education. In addition to formal education, work-at-home moms can keep on top of new developments in their field by networking with other professionals. But don't neglect personal networking. Keeping in touch with other parents at your child's school, neighbors or old friends is not only personally fulfilling; it's useful too. They can alert you to educational and recreational opportunities within your community. You can even swap child care with the stay-at-home and work-at-home moms you know. Plus spending time with friends is just plain fun. Work-at-home moms can find themselves without a single moment of personal time. It's up to you to make sure this doesn't happen. Find what you like to do and make the time. Reading for pleasure, going out on "dates" with your spouse, volunteering, or visiting your favorite spa are just a few ideas. Even if it's just taking a walk or a quiet bath, those moments give us the opportunity to recharge. Let's just admit it. Spending all that time with family can be tiresome sometimes. The one-millionth time you're interrupted, you may wonder why you don't work in an office. But you know why you do this, right? The benefits of working from home are many.